One of the big parts of our Social Studies curriculum in third grade is the study of our National Parks as a subtopic of our study of Fifty States. Alaska is the home to 15 national parks, preserves, monuments and historic parks. The Park Service in Alaska also oversees 49 National Historic Landmarks and 16 National Natural Landmarks. The Park Service is rich in resources that you can use in your classroom to help you and your students as you explore the vast, amazing state of Alaska. One tie into the Iditarod Race is Denali National Park which is home to the nation’s only team of sled dogs who actively patrol a national park. Sled dogs have been crucial to Denali’s operations since its founding in 1917 to assist rangers in patrolling the backcountry of the park. After World War II, airplanes began to replace the dogs and due to budget cuts, the dogs completed their service in 1949. But, by the 1970’s they were again being used. Today they are crucial to the park as much of the park has been declared wilderness and therefore cannot be patrolled by motorized vehicle. 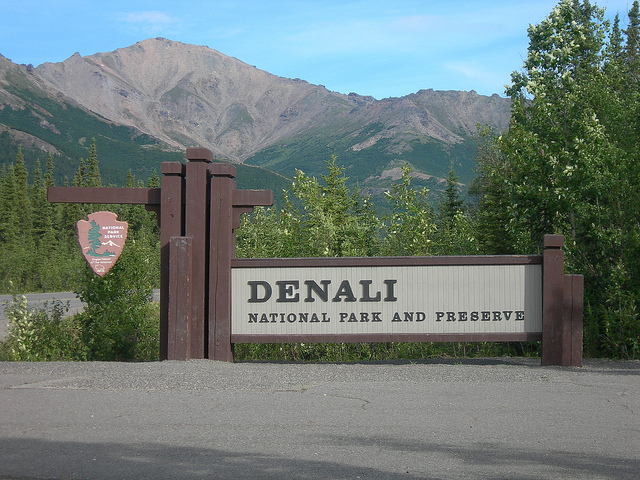 Today the dogs are a cultural resource that helps to preserve the historic and natural resources in Denali. The teams average 3,000 miles a year on patrol and greet and interact with about 50,000 visitors to their kennels each summer. Denali offers an amazing Distance Learning program via Skype called The Science of Sled Dogs. The rangers will teach the students about five adaptations sled dogs have that allow them to survive in the subarctic: tongue, fur, foot pads, circulation, and tails. The kids quickly discover that these characteristics are ones that mushers also look for in their sled dogs. The rangers lead the kids through two mini science experiments so that the kids can get a strong grasp of the concepts. They also teach them about the positions in the dog team and the qualities each team member needs to have to help the team succeed. The program materials include lessons to use with the kids before and after the Skype session. A great way to get your students involved in the National Parks is by challenging them to collect Junior Ranger Badges from various parks as they tie into your curriculum. The Junior Ranger program is a program offered by the National Parks that awards students special badges or patches for learning about and protecting National Parks. Many of the parks require students to be on site to complete the program, but some will allow students to complete the program through the mail or over the internet and will send badges to the school for the students. During the course of a year, my class usually collects ten to twelve badges as class projects that tie directly into our curriculum, another nine or so as extra credit monthly at home challenges, and two in person on field trips! We keep track of our accomplishments on a bulletin board and the boys are always anxious when a new badge arrives! Something to Do While You Follow Me! When I arrive in Alaska around February 22, I’ll post often to keep you in the loop about what I am doing and what is going on with the race. And, when the race starts March 6, I’ll post daily about the race and teachable moments. Elementary–Color a paper thermometer which shows your area’s temperature and another one showing the temperature I posted. Write the temperatures correctly. Elementary–Make a chart or graph showing the temperatures I post. Middle School—Use the lesson plan I posted in Coordinates for Your Sled-The Math Trail to make a 2 or 3 line graph plotting and comparing the temperatures I post and your area’s temperatures. Middle School—Relate positive and negative numbers to the temperatures I post and the temperatures in your area. Any age level—Research and learn about Fahrenheit and Celsius temperatures. Write a paragraph or paper or create a power point show about the history of how these different ways of measuring temperatures came to exist, why scientists use Celsius more than Fahrenheit, which countries use Fahrenheit more than Celsius, what Celsius used to be called, etc. Lesson 1: Introduction to the Iditarod Sled Dog Race; Grades 2-8; Geography, Social Studies, and Science; This lesson introduces how climate relates to lifestyle and culture. Lesson 2: The Alaskan Husky; Grades 4-8; Technology, Science; This lesson uses computer skills such as cutting, pasting, and saving a Word document as a vehicle to learn the unique characteristics of the Alaskan Husky. Lesson 3: Making Electricity from the Sun; Grades 4-12; Science, Technology, Geography, Environmental Education; In this hands on lesson students see how the angle of a solar panel in relationship to the sun’s rays directly effects voltage output. The Internet is used to research the average hours of sunlight per day for locations across the globe. Lesson 4: Wilderness Survival; Grades 4-8; Social Studies, Environmental Education; Students actually build a debris shelter(or model) as they study the hierarchy of survival priorities. Read Iditarod stories of survival from the book More Iditarod Classics. Lesson 5:The Reason for the Seasons; Grades 2 -6; Science, Environmental Education; Students learn about the tilt of the earth and the angle of incidents of the sun’s rays and explain the causes of seasonal change. Lesson 6: Are We There Yet; Grades 5-12; Technology, Geography; Find out how far it is from your house to Alaska and how long it will take to get there driving, walking, or using public transportation. 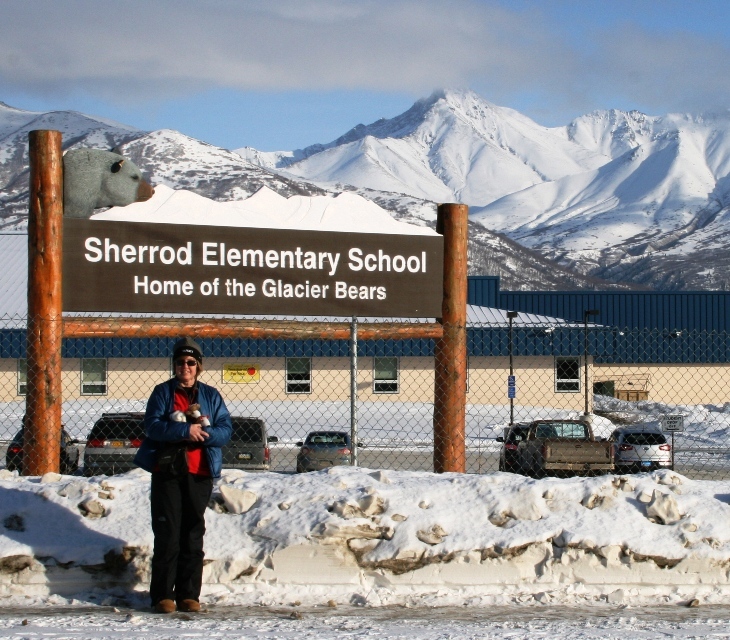 Lesson 7: Why is Iditarod a Ghost Town ; Grades 4-12; Environmental Education, Social Studies; Students determine the best place to locate a village by evaluating several locations for available water resources, type of soil, signs of wildlife, and ease of travel. Lesson 8: The Cold Hard Facts; Grades 4 and above; Technology, Science, Math;In this lesson students use an Excel spreadsheet to record temperature data from their local area and a location in Alaska. They also use the graphing capability of Excel to create a graph that compares the 2 locations.